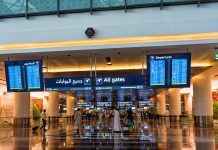 Muscat International Airport is taking part in the 2019 Skytrax World’s Best Airport Survey competing against the best for the coveted award. A true representation of the country’s genuine hospitality and beautiful landscape, the new state-of-the-art airport has received global acclaim for its Omani-themed architecture, advanced technology, exceptional passenger experience and operational excellence. The coveted Skytrax World Airport Awards are voted for by customers in the largest annual global airport customer satisfaction survey. Often referred to as ‘the Oscars of the aviation industry’, the awards are a global benchmark of airport excellence where 12.85 million travelers representing 110 nationalities from around the world take part to decide the winners from a pool of 410 airports worldwide. The survey evaluates customer satisfaction across 39 key performance indicators for airport services and products from check-in, arrivals, transfers, shopping, security and immigration, through to departure at the gate. Muscat International Airport was designed and constructed to the highest standards of quality and service, meeting the International Air Transport Association’s classification for top airports. Built over a gross floor area of approximately 580,000 sqm with the capacity to serve 20 million passengers per year, it offers passengers a seamless travel experience with smart and convenient facilities including a carefully selected shopping and dining scene, exclusive Business and First Class lounges as well as 24-hour hospitality services, a one-of-a-kind airport transit hotel and an extensive car park with shuttle and valet service options to and from the arrival and departure terminals. With an expansion potential of up to 80 million passengers per annum, the Airport has augmented the growth of travel and tourism in Oman. Between January and November 2018, the total number of flights arriving at the Airport was 108,813, a 16.6% increase from last year while the number of passengers increased by 9.4% from 2017, reaching 13,996,795. 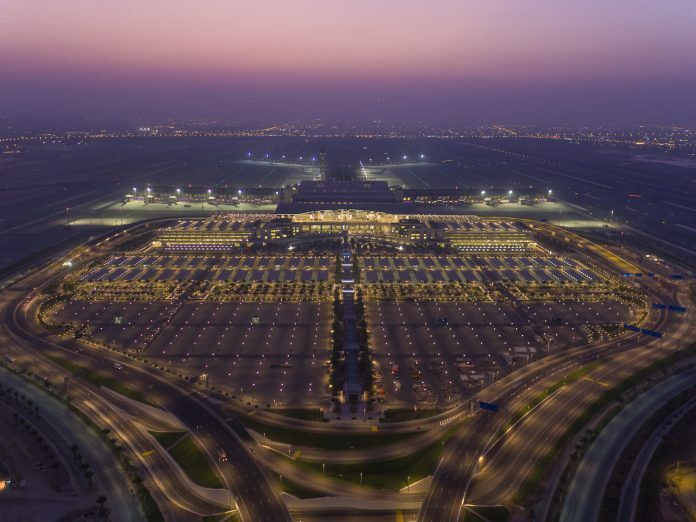 As a result, Muscat International Airport was voted Best New Middle East Tourism Development Project just four weeks after starting its commercial operations and won the prestigious title of the World’s Leading New Airport in 2018 at the World Travel Awards. It was also the recipient of the prestigious Sultan Qaboos Award for Excellence in eGovernment 2018 in the Best Private Sector eService category for the its Data eServices. Muscat International Airport had won the prestigious title of the World’s Leading New Airport in 2018. 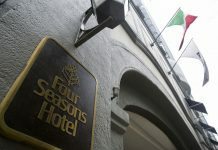 The coveted accolade was announced during the 25th edition of the World Travel Awards hosted in Lisbon, Portugal. Passengers can visit Skytrax’s World Airport Survey website http://www.worldairportsurvey.com/ and vote based on categories including Terminal Comfort, Food and Beverage, Airport Shopping and Customer Assistance. The winners will be announced on March 27th 2019.